Description: Typescript with a few inserted handwritten pages. 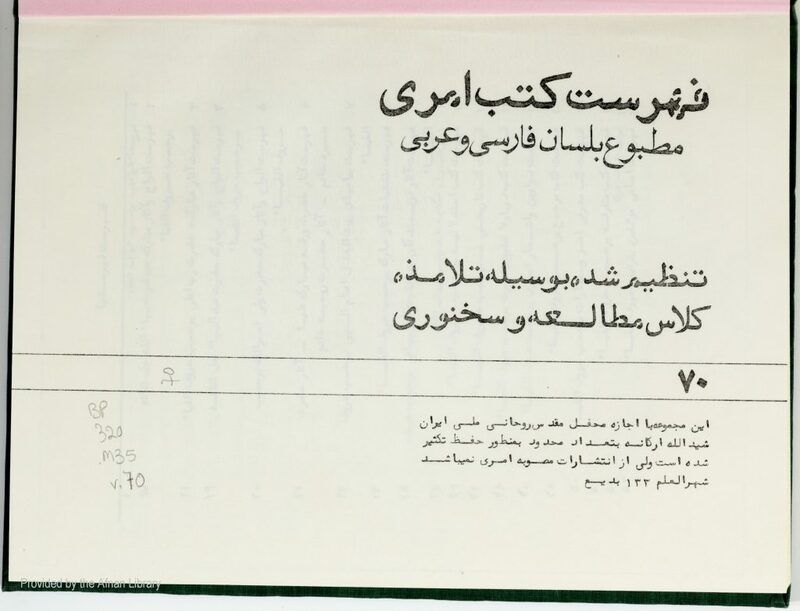 A Bibliography of all published Bahá’í books in Persian and Arabic. Gives bibliographic details and a short description of each book. At beginning of book: 1-63pp. of various Indexes and Tables of Contents. Then numbering restarts: pp. 1-318 pp. of main text (446pp. of PDF).